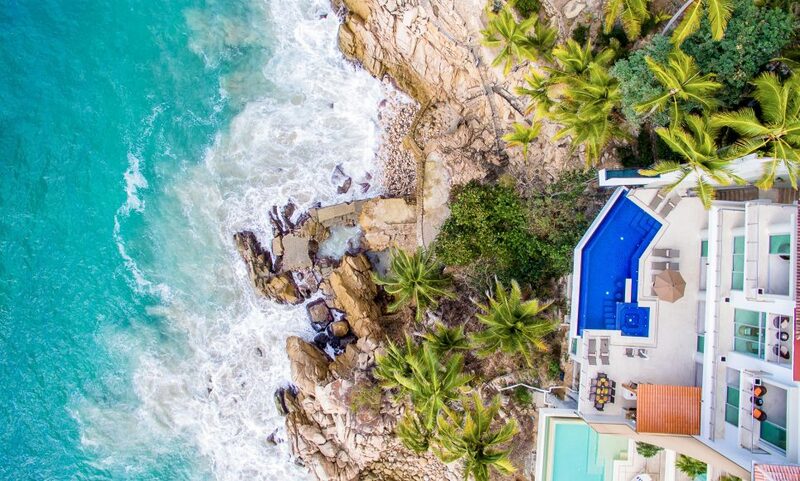 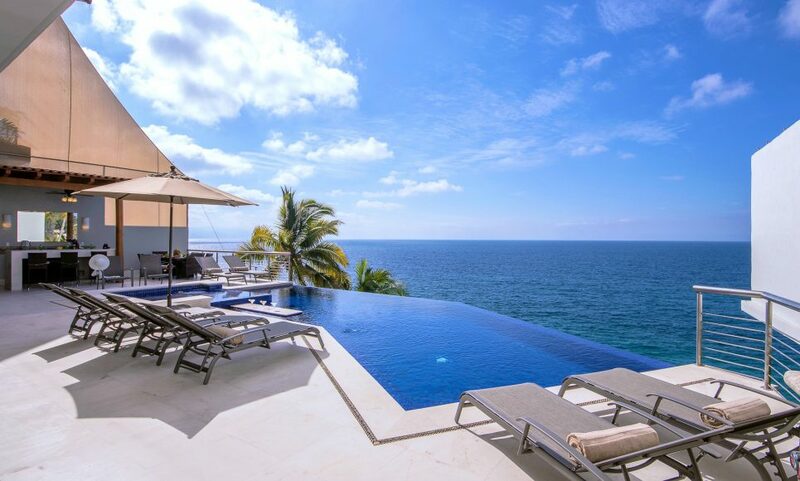 Built-in 2006 and beautifully restored in 2016, this 5 bedroom, 5.5 bath, 10,000 square foot oceanfront villa in a desirable location on the south edge of lower Conchas Chinas. 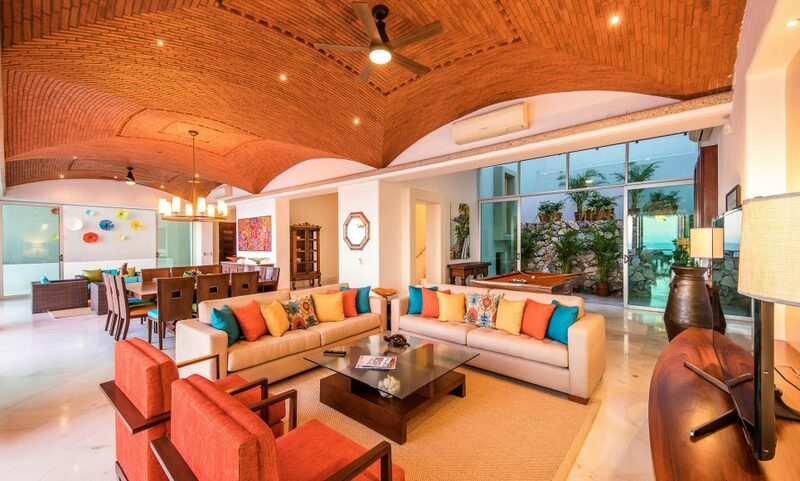 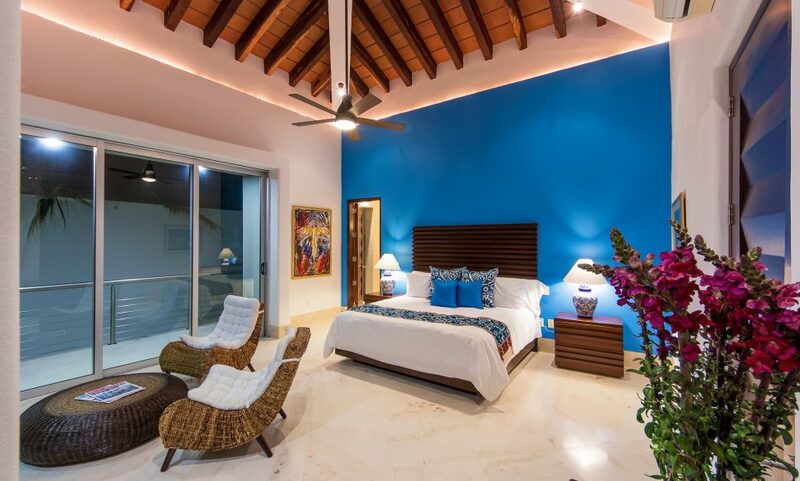 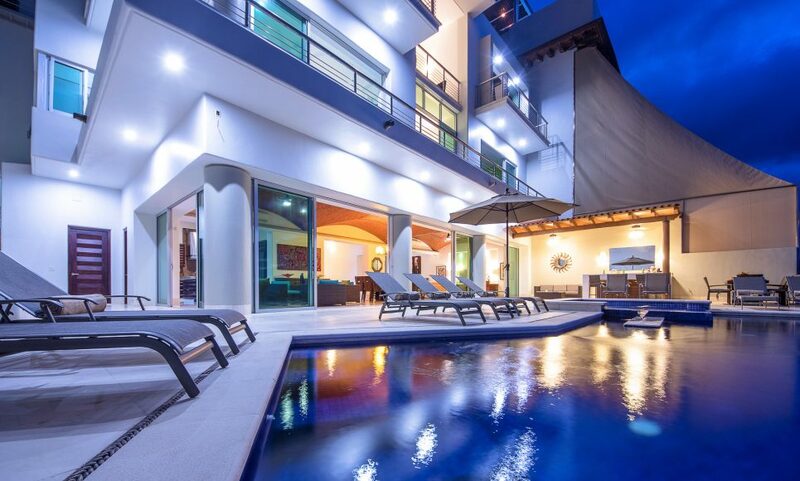 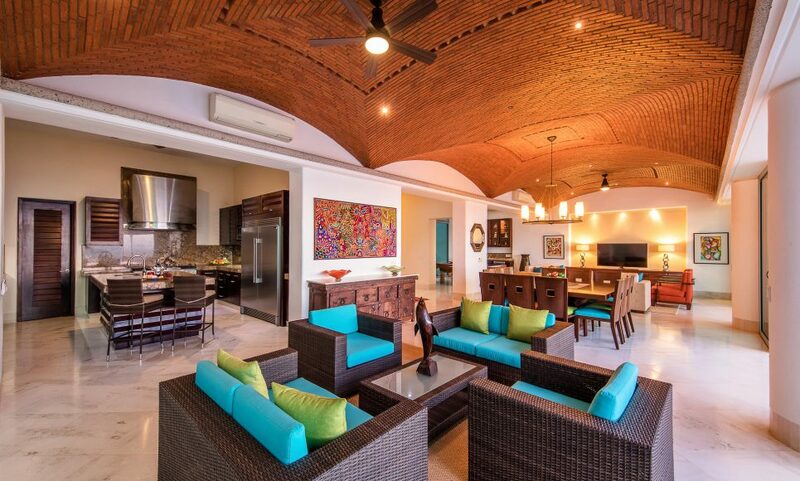 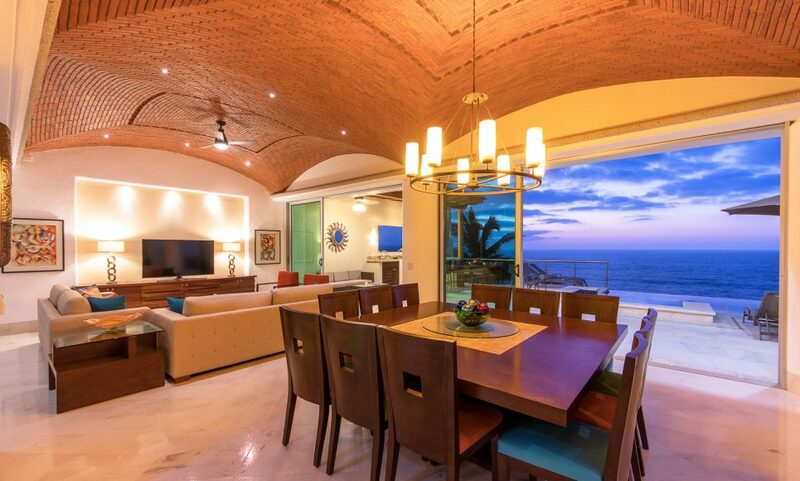 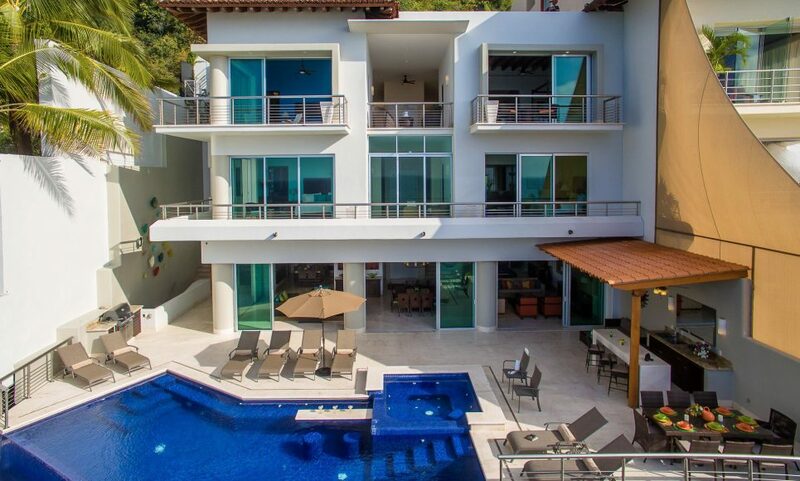 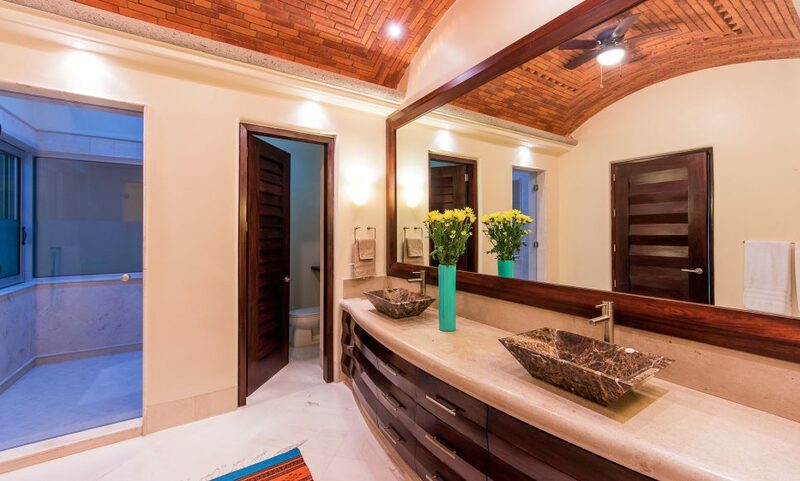 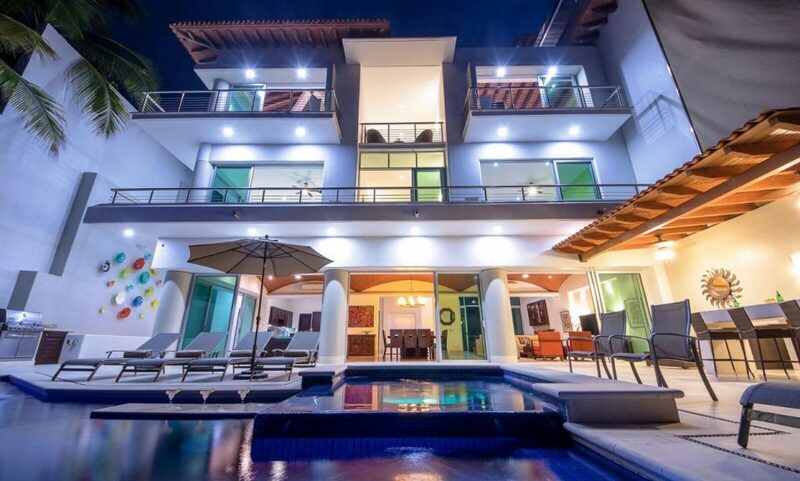 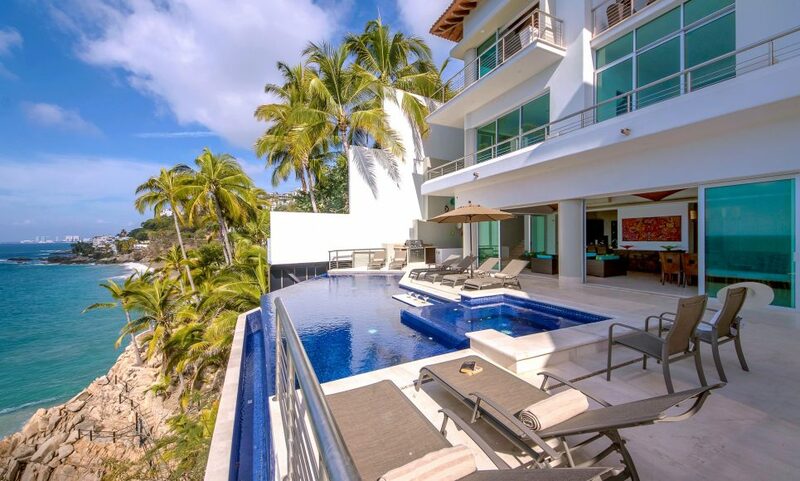 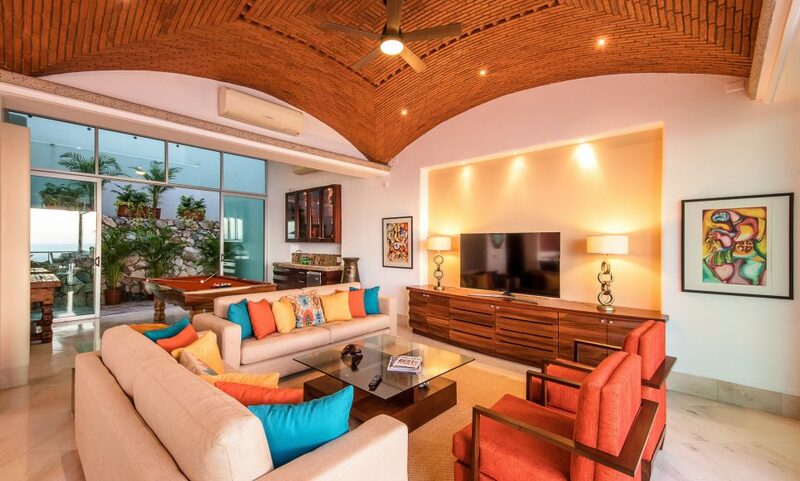 This gorgeous contemporary designed villa has all the luxuries of an exquisite vacation home with Mexican flair throughout. 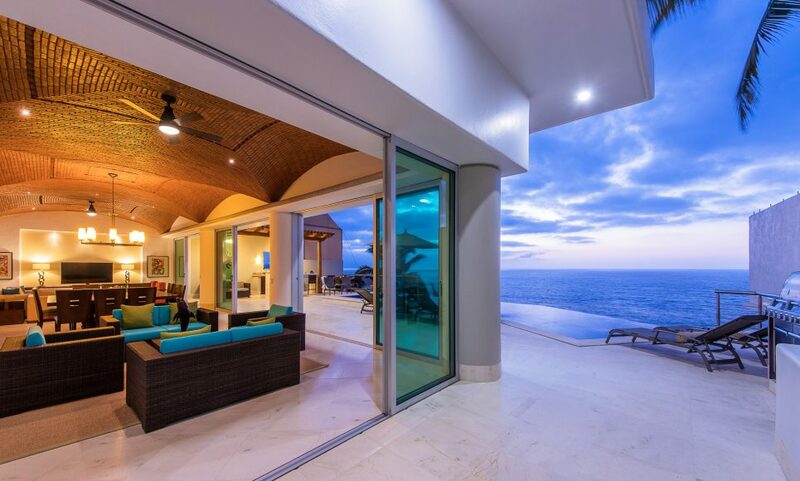 Floor to ceiling sliding glass doors in all living areas showcase the breathtaking 10 thousand sq. 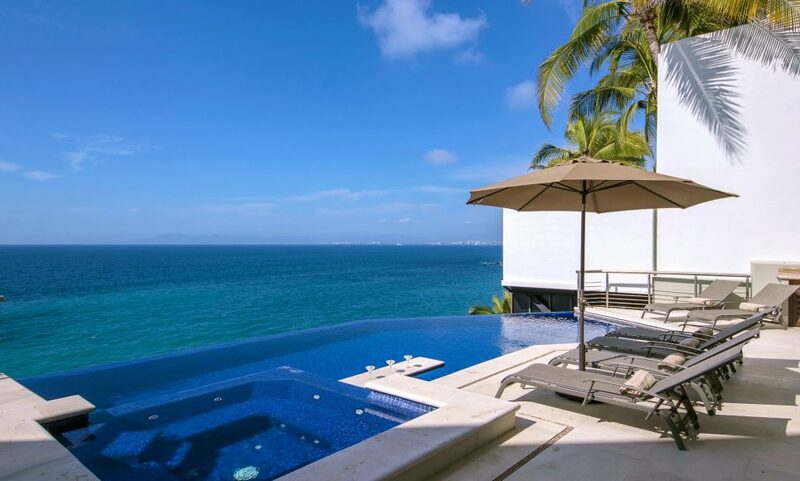 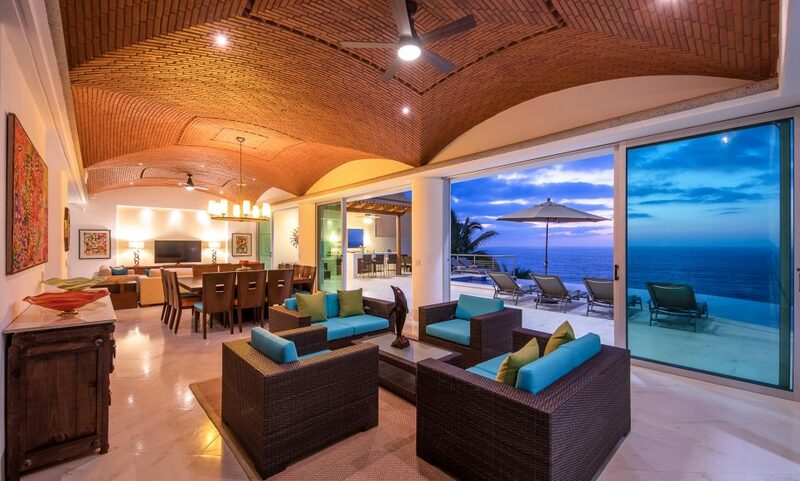 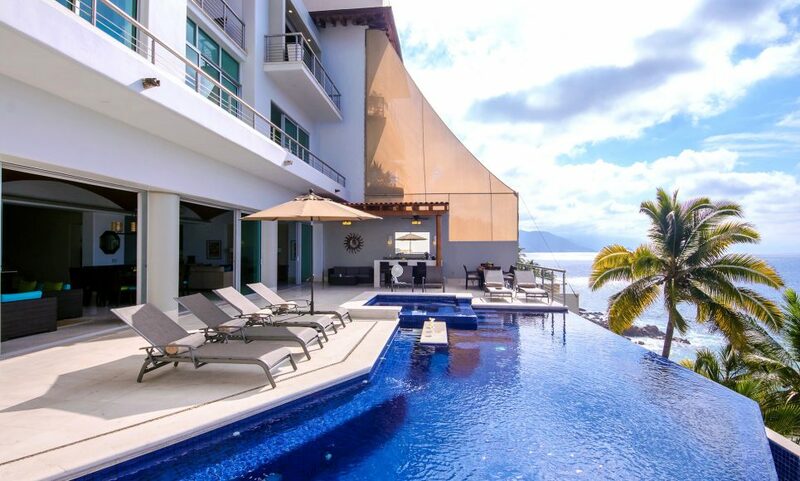 ft. oceanfront views of the bay stretching from Mismaloya to Nuevo Vallarta. 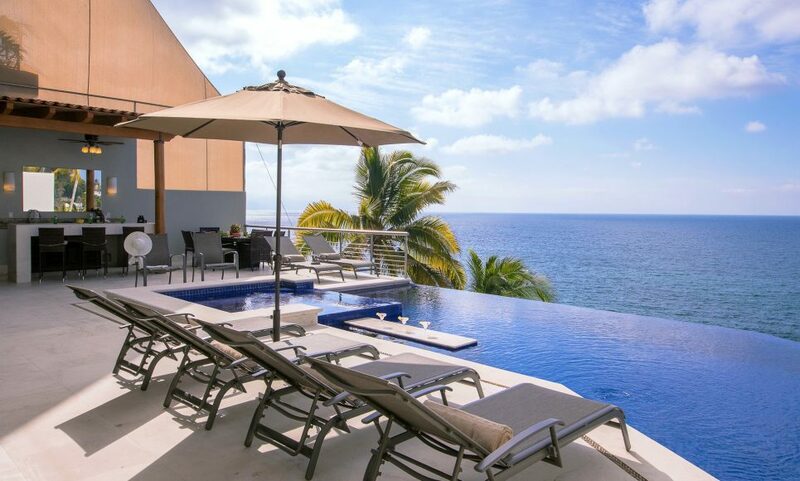 Relax and be pampered with the large heated infinity pool with swim-up bar and 8+ person hot tub, all just off the semi-covered bar area where the staff will serve you snacks and drinks. 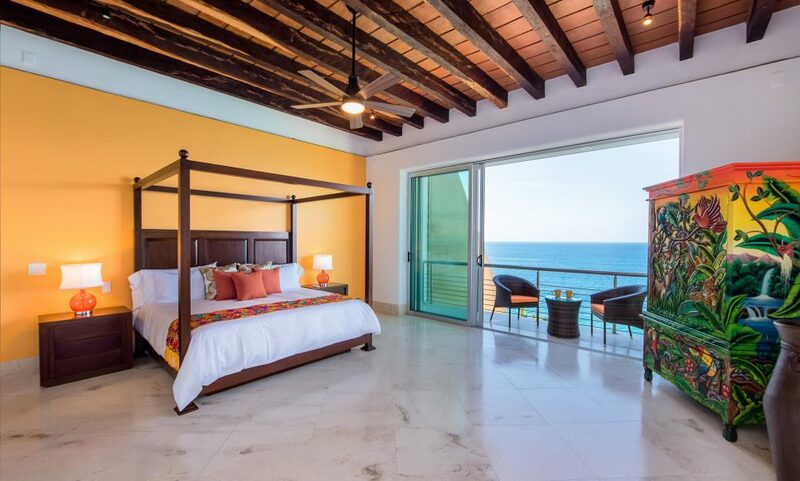 All 5 bedrooms have spectacular oceanfront views, pillow-top King beds and en-suite attached bathrooms with large closets. 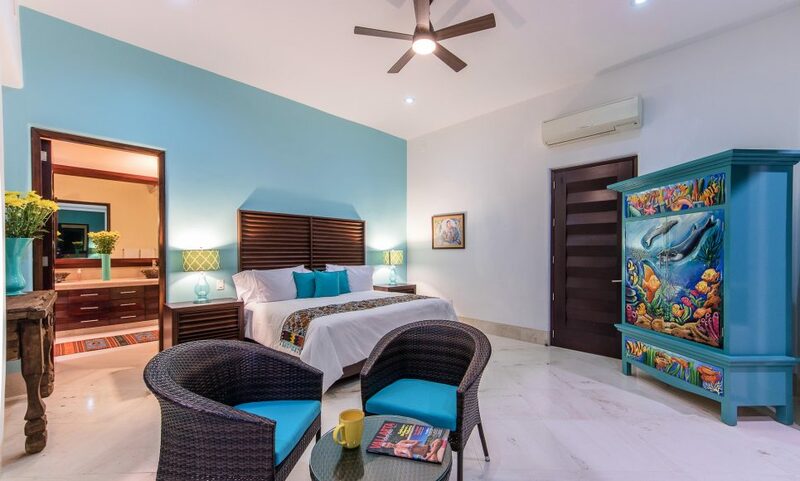 Home is fully air-conditioned (not just in the bedrooms), and the elevator in the home makes it easily accessible for everyone. 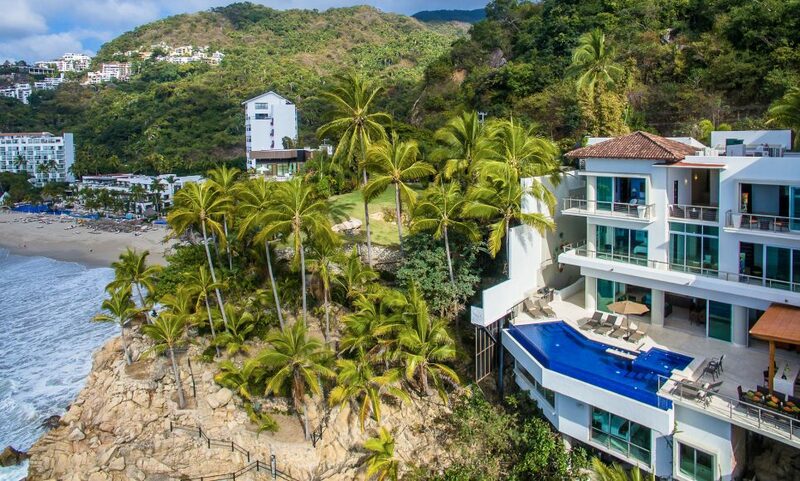 There are Plasma TV’s with separate satellite receivers in all bedrooms, living room, workout room and additional TV area (total 8). 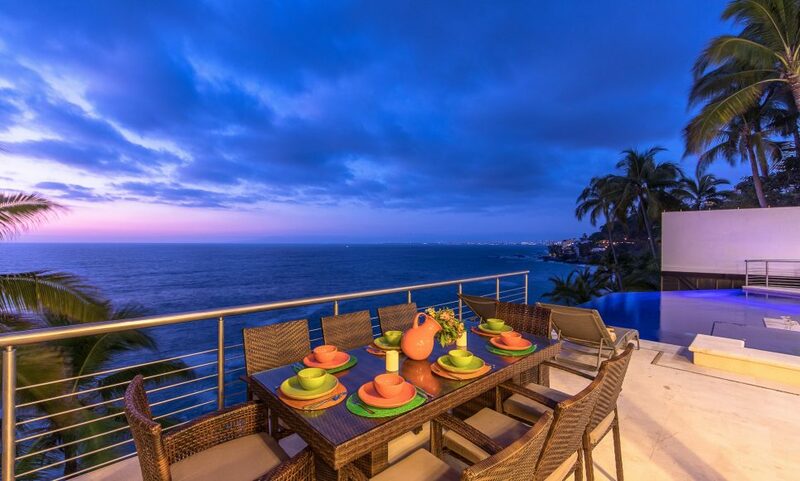 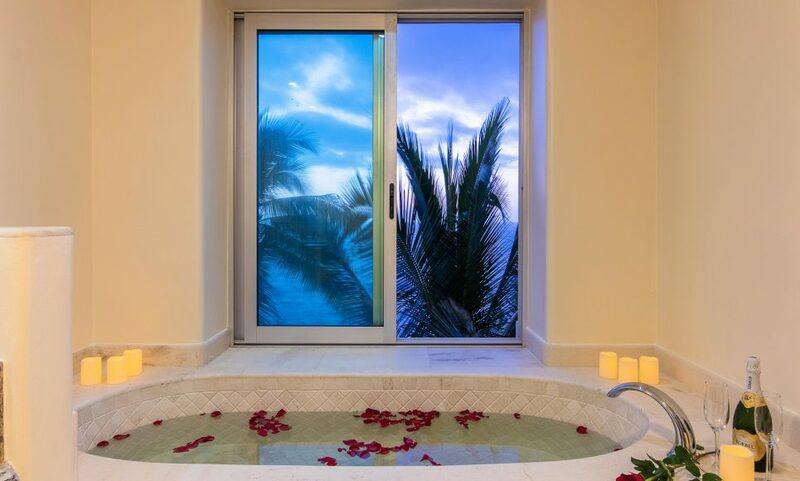 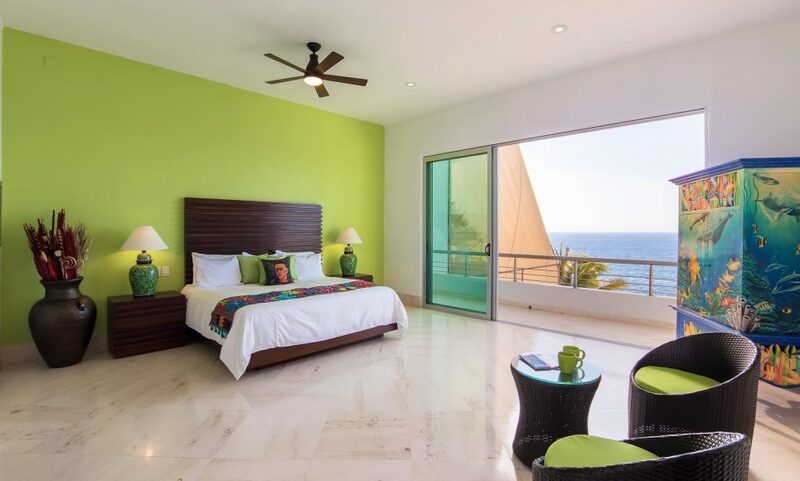 Villa Azul Pacifico has an excellent staff, spectacular oceanfront views, and incredible décor. 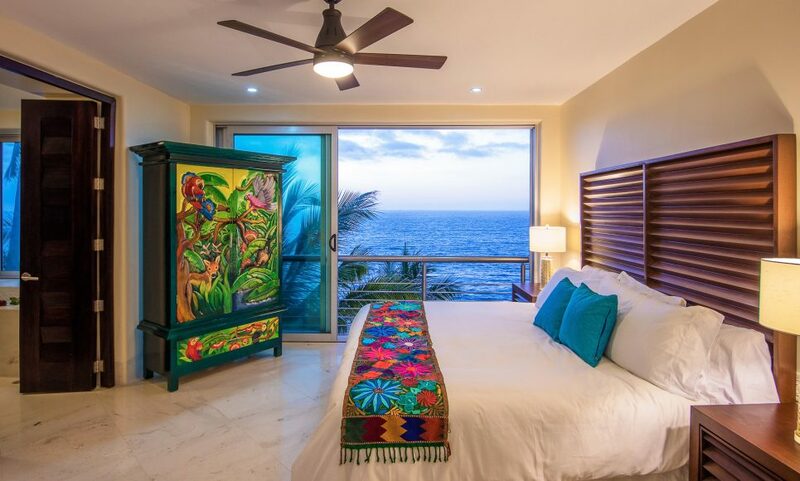 Azul Pacifico comfortably accommodates up to 12.